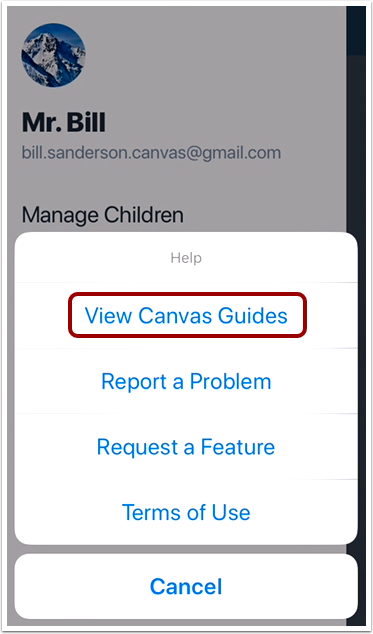 To search the Canvas Guides, tap the View Canvas Guides button. 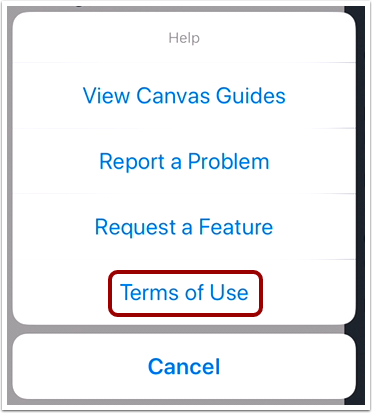 The app will open your mobile browser and display the Canvas Guides search page. 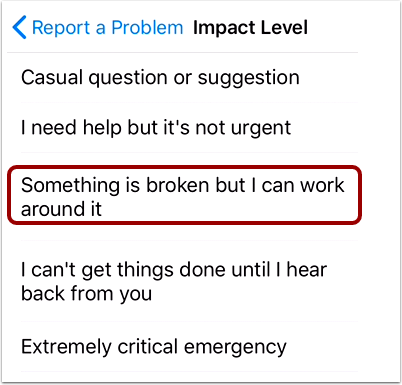 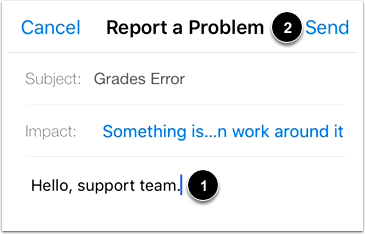 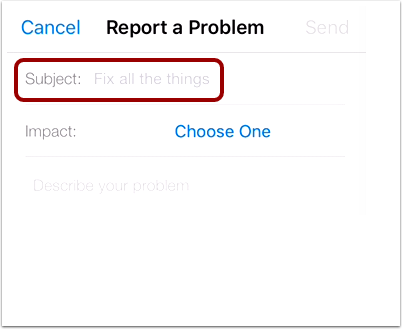 If you encounter a problem in the Parent app, tap the Report a Problem button. 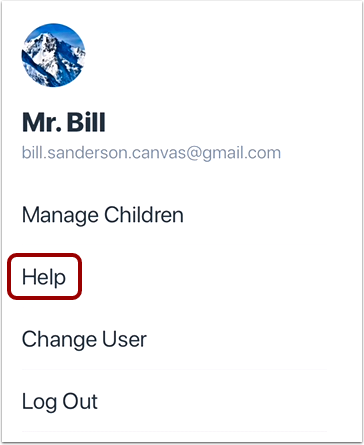 The Parent app automatically creates a message that includes your Canvas URL and the version of the Parent app you are using. 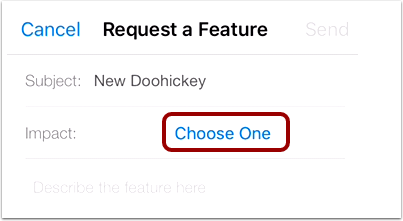 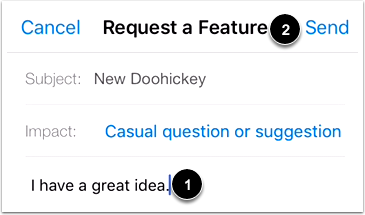 If you have a feature you'd like to see in the Parent app, tap the Request a Feature button. 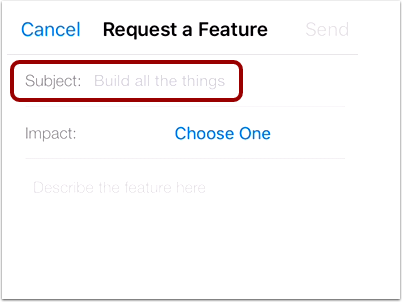 The Parent app automatically creates a message to the mobile team. 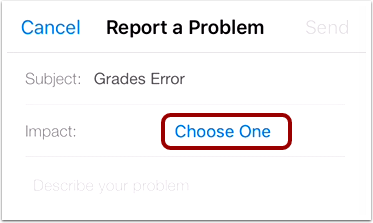 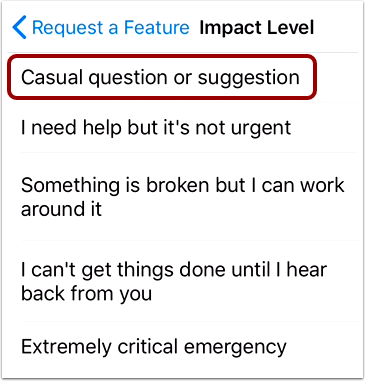 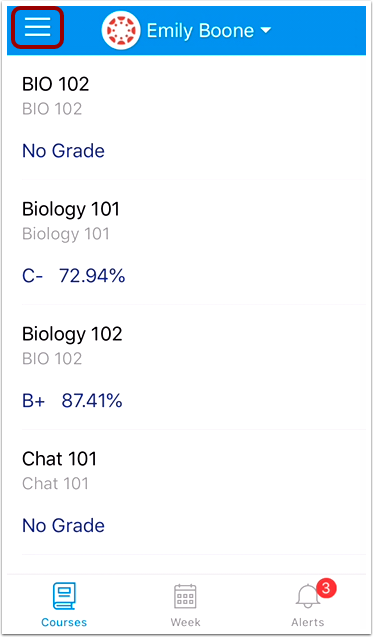 Previous Topic:How do I set alerts for a student in the Canvas Parent app on my iOS device? 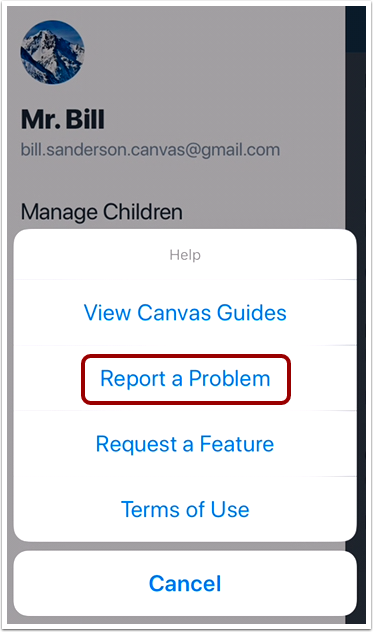 Next Topic:How do I log out of the Canvas Parent app on my iOS device? 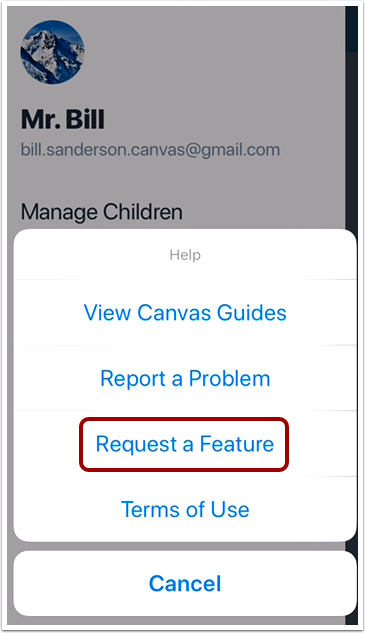 Table of Contents > Observers > How do I get help with the Canvas Parent app on my iOS device?